"KUNO" is our premier stud dog. 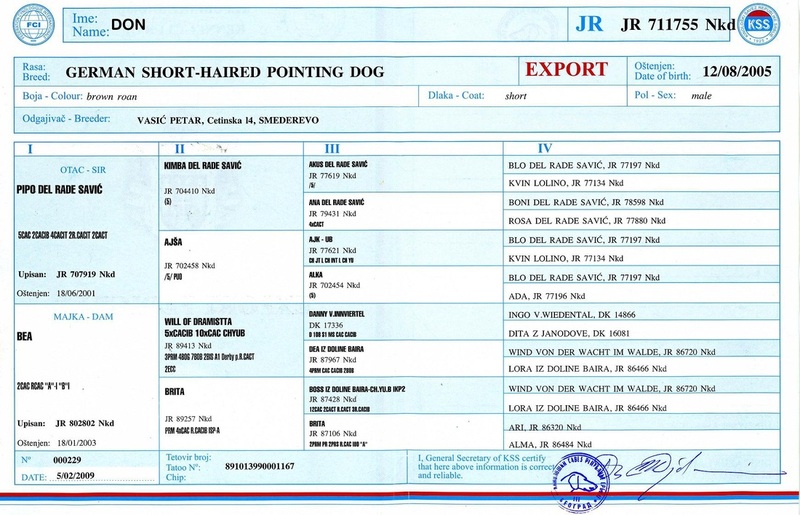 Kuno comes from all European bloodlines. 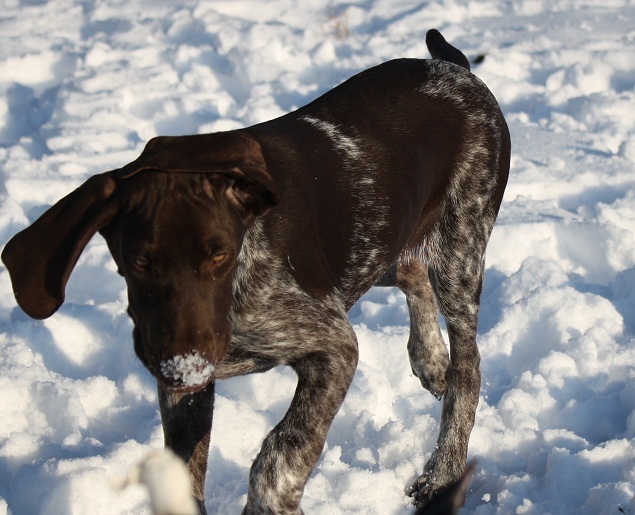 He is the offspring of two World Class Imported GSP’s and is the first generation born in the USA from these powerful European bloodlines. 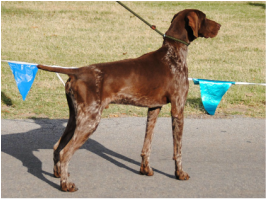 He has some of the best working dogs from Europe in his bloodlines including 6 dogs from the world classs Hege-Hause kennels in is 5 generation pedigree! 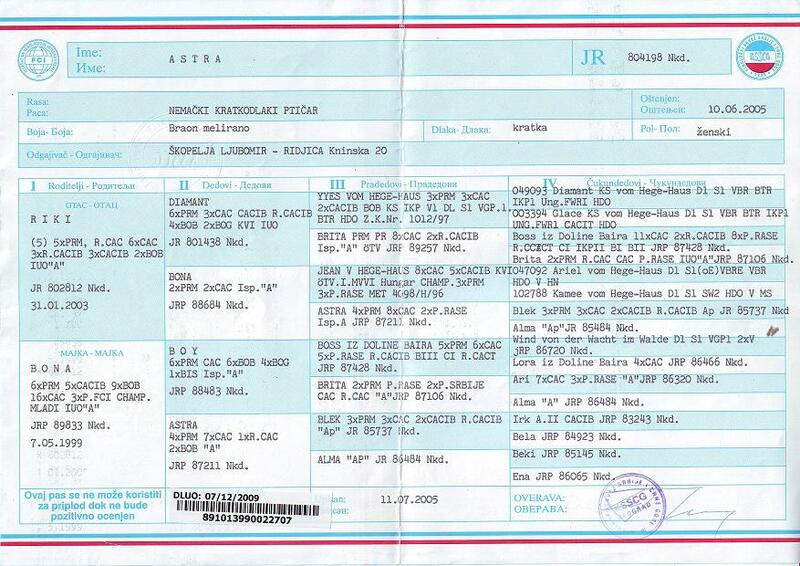 His father "DON" is a European Dual Champion, and his mother "ASTRA" is also a European Champion. Both parents are World Class, European Imports. Kuno's grandfather was the 2005 World Champion in Italy! Kuno currently holds 2 Titles with the IABCA and is currently competing in the Honors Class. He has his National CH Title and his International CH Title with the IABCA and we expect amazing things from Kuno in his working career. 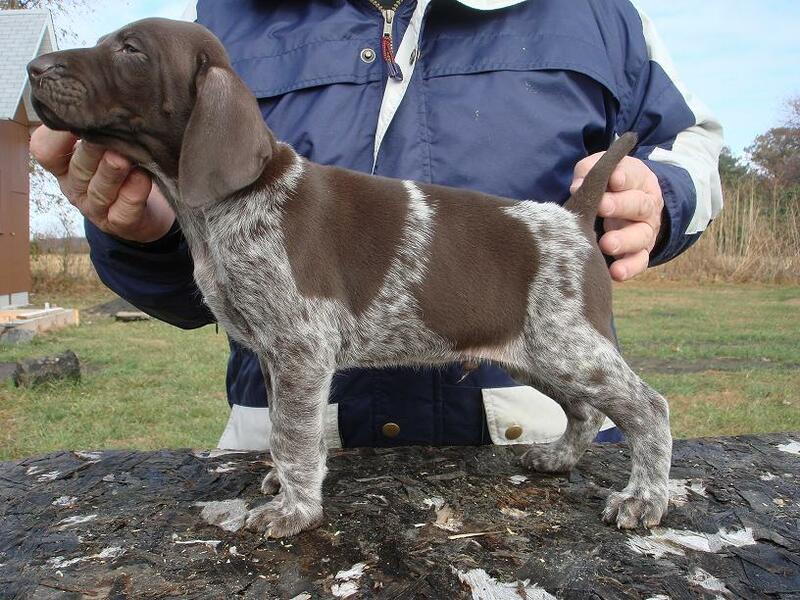 He will be competing in multiple shows this year with the IABCA and AKC. We are excited to see the accomplishments he will gain in the upcoming show year. Kuno is a big male, approximately 70lbs and over 27” tall. Kuno is a natural hunter, very confident and cocky male that is incredibly friendly. He is very prey driven and is a great retriever. 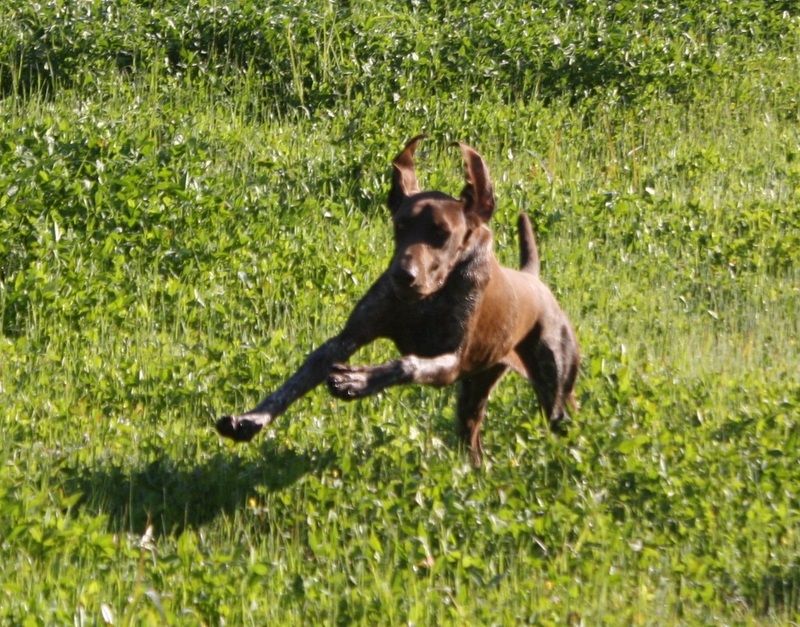 We believe European dogs overall are much calmer than typical GSPs you see in the US. They are incredibly smart and obedient dogs. I find this trait helps a lot in training for both hunting and obedience. We believe he will transfer these wonderful traits over to his puppies. World Champion in the 2005 field trials in Italy. Great Grandsire - “Will of Dramistta"
Great Grand Dam - "Brita"
Don is an import male from Europe. He is a dual champion and the prime example of a world-class GSP. Don's sire was the world champion in field trials in 2005 in Italy. He has some of the best working dogs from Europe in his pedigree. Don is a big male, approximately 80-85lbs. The way he carries himself in the field, you could never tell that he is so big. He has a beautiful style, keeps the head and tail up high at all times. He has a very strong nose and a gorgeous point. Don is a very confident and cocky male and what I like the most about this is he transfers it over to the puppies. Dogs we have out of him are incredibly friendly, very prey driven and have some of the best retrievers I've seen. They all have natural born hunting abilities. Champion and a Junior Champion. 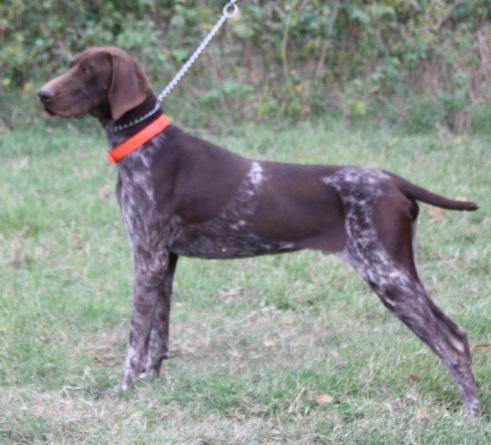 She is a top of the line, european bird dog. She makes a good hunting dog and she stays very close with a good point. 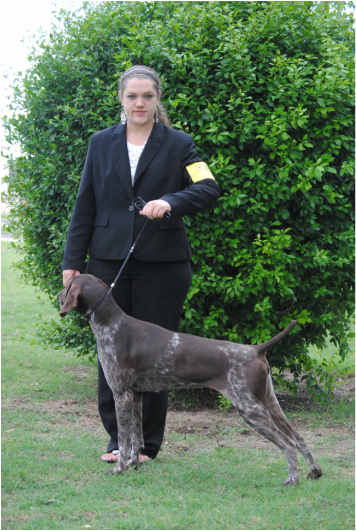 Her pedigree leads back to Hege-Haus kennels. 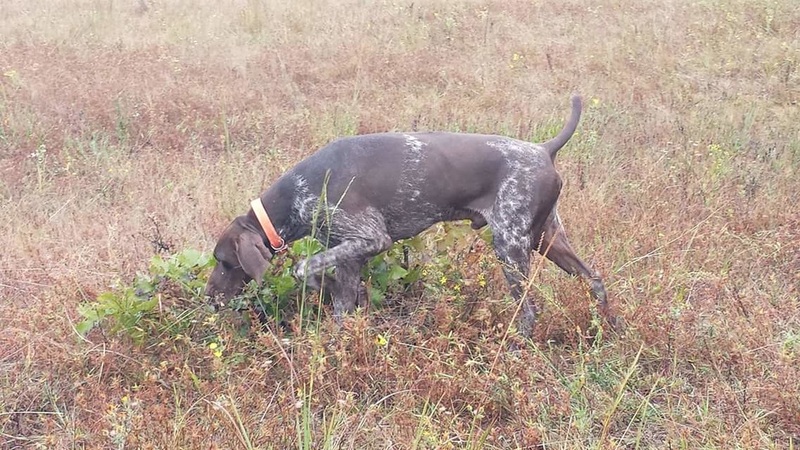 It's one of the most famous GSP kennels in the world. 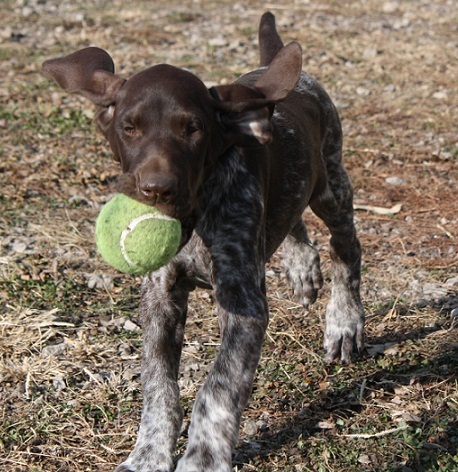 Astra has 6 dogs from the world renowned Hedg-Haus Kennels in her 4 generation pedigree. 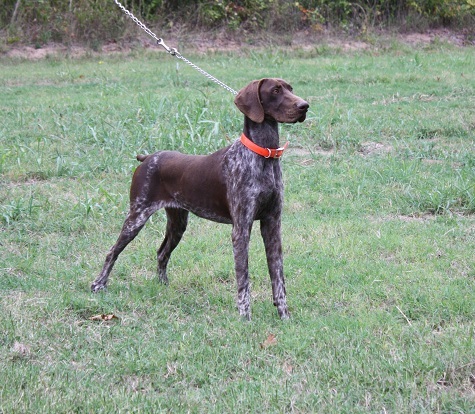 Her pups are natural hunters that inheret her style and grace in the field.